The beautiful countryside around Nshenyi Cultural Village gives a traveller a feel of Ankole culture. As you near the village, enjoy the fresh air and the breathtaking scenery and look out for the graceful long horned Ankole cattle as they graze. Nshenyi village is located in Kitwe Ntungamo District in southwestern Uganda. 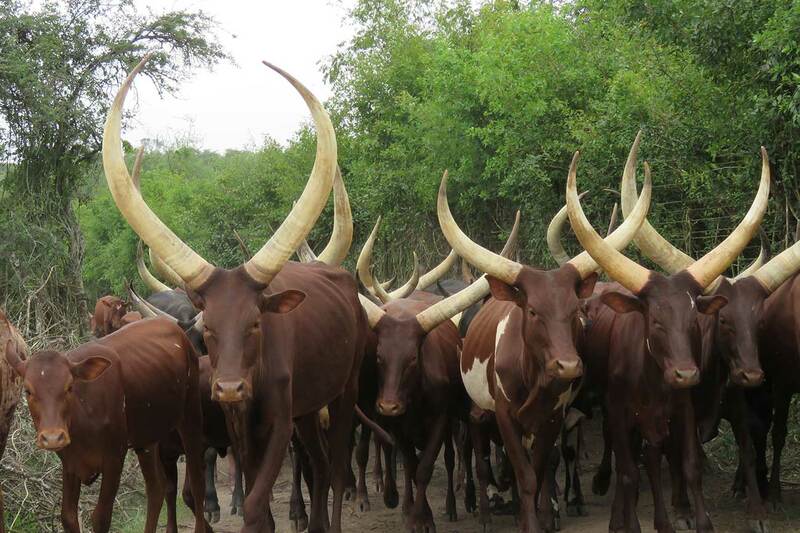 And here, you will enjoy a range of fascinating cultural experiences with the Ankole people and discover why these iconic cattle are so ingrained in their culture. You can visit the place where three countries; Uganda, Rwanda and Tanzania meet. You’ll have the opportunity to visit a local market as well as a local school. You will also go on a village walk. You will be able to interact with the community and enjoy spectacular views of the meandering River Kagera.